If your normal non-snowboard look consists of your favorite baggy boyfriend jeans every day, we've got great news for you! The 686 Deconstructed Denim Insulated Snowboard Pant takes everything you love about jeans and adds mountain-ready features - so you can rock your fav jeans all day long. These street-inspired women's snowboard pants have a 10K waterproof rating and 40g of insulation, so they're a perfect go-to pant for most winter days And because they have a loose fit, you can layer under them on really cold days. The Deconstructed Denim Insulated Pant is made with infiDRY® fabric, so it manages to be warm, breathable, waterproof, and soft enough on the inside for day after day on the slopes. These have a street-inspired look with a traditional fly and belt loops. 40g of polyfill insulation keeps you warm in the winter while leg vents make it easy to cool down in a hurry. 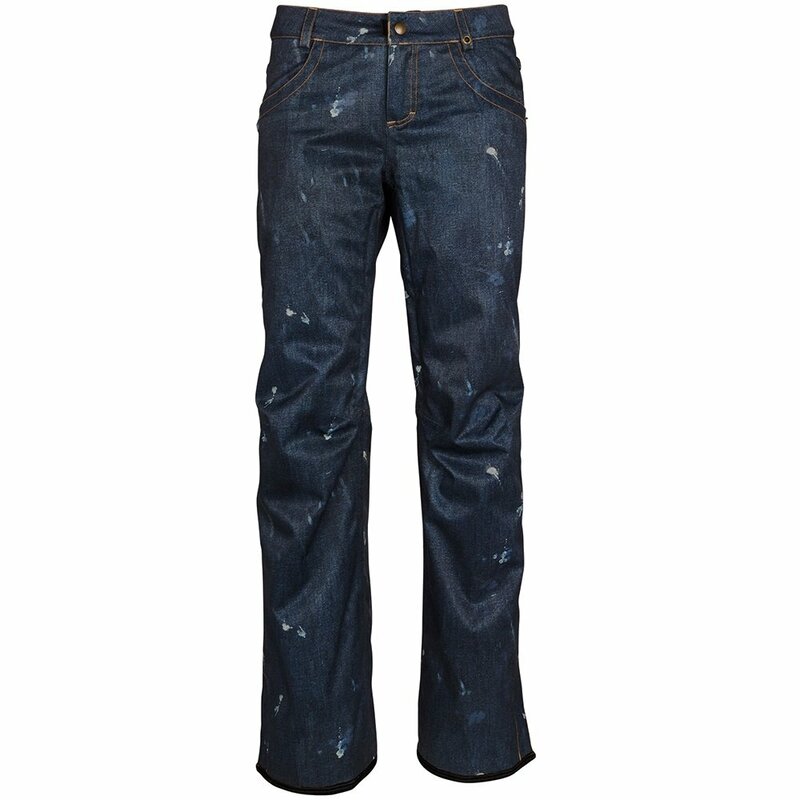 These snowboard pants have 10K waterproofing and breathability ratings, designed for all-day resort riding.